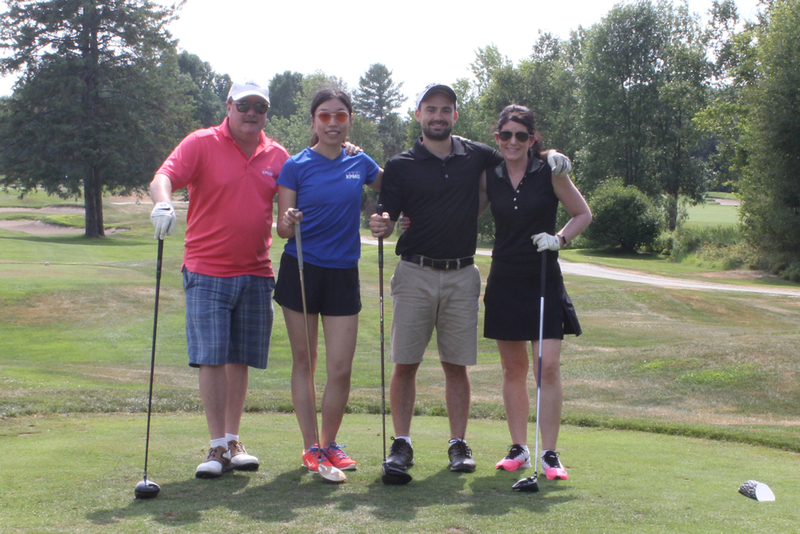 This Summer’s 9th annual tournament, presented by Diamond Level Sponsor, GAL Power, was hosted July 10th at the renowned ClubLink Eagle Creek Golf Club in scenic Dunrobin, Ontario. 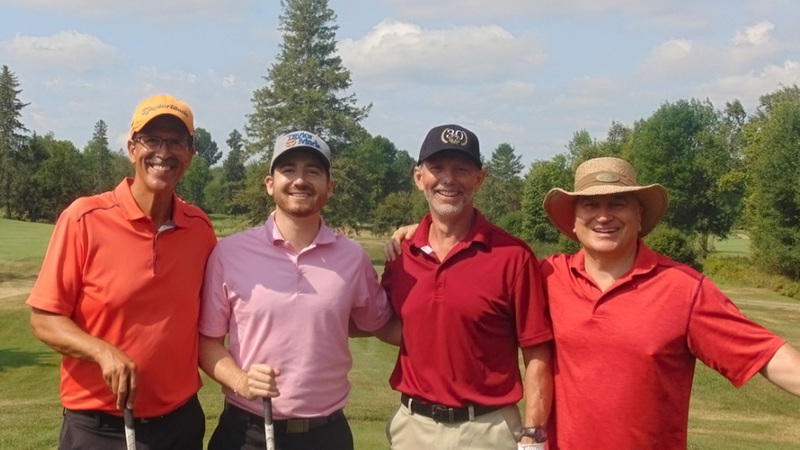 The HKGU golf tournament and pre-tournament fundraising activities have generated nearly $77,000 in net proceeds to date, with another event still to come in the Fall. GAL Power is on-course to meet a 10-year commitment to raise over $680,000 for children in need. Sunny skies prevailed as over 144 participating golfers displayed their prowess through nine on-course skill events including; chipping/putting contests, longest drive, straightest drive, closest-to-the-pin, and four ‘hole-in-one’ contests with large cash prizes. This year’s tournament saw the debut of a new pre-tournament longest drive event – won by DJ Parent. In addition to the on-course skill events, each year a ‘top team’ that achieves the lowest score for the day, using a shamble format, is crowned. This year’s winning foursome was Gervais Towing with a score of 127. The fantastic Eagle Creek staff and tournament volunteers treated participants to HKGU’s unique brand of hospitality, while the generous tournament sponsors provided the players and volunteers with breakfast (Vibra-Sil), BBQ lunch (CIBC Commercial Banking), a promotional ‘Beer Tent’ featuring the Labatt promotion team (DCT), Labatt beer on-tap (4Refuel), and a delectable dinner buffet provided by (Eaton & WESCO) served with complimentary wine by (Atlas Copco). All players received complimentary registration gifts, had the opportunity to participate in the silent/live auctions, enter a 50/50 cash draw and win donated raffle prizes with a total value of over $7,000. There were numerous opportunities to network throughout the day including a post-tournament hospitality hour (Jim Peplinski Leasing) with complimentary draft beer and finger foods. During the tournament banquet dinner, major tournament sponsors were recognized for their years of dedicated commitment to the tournament and Variety of Ottawa proudly presented a cheque to the Leukemia & Lymphoma Society of Canada for $15,000 towards funding their charitable initiatives. This tournament is made possible by the tremendous support of GAL Power. They have made a 10-year commitment to raise over $680,000 through this event. GAL Power, one of Canada’s leading providers of power and temperature control rentals solutions has earned leadership status by consistently supplying high-performance generators over the past 30-years. Visit www.galpower.com. Next year’s 10th Annual HKGU Charity Golf Tournament is Tuesday, July 9th, 2019 at the Eagle Creek Golf Club. As a result of this year’s tournament, the net proceeds will enable Variety of Ottawa and Canadian Foundation for Children with AIDS (CFCA) to continue to fund critical children’s care programs. Over its first nine years, total net proceeds support from the HKGU tournament has now reached the $577,000 plateau. Variety of Ottawa will continue to support programs in partnership with CHEO, Children’s Wish, School Breakfast Programs and many other individual child support organizations and families. CFCA will continue to use its portion of the funds to expand AIDS relief programs in the sub-Saharan area of Africa, including building additional livestock and greenhouse programs to increase the nutrition levels of the communities that it supports. Visit the tournament website for more info about this year’s event and the 2019 tournament at http://hkgu.varietyofottawa.com. Contact Bill Garbarino, tournament director, at garbarw@algonquincollege.com for available sponsorship opportunities.